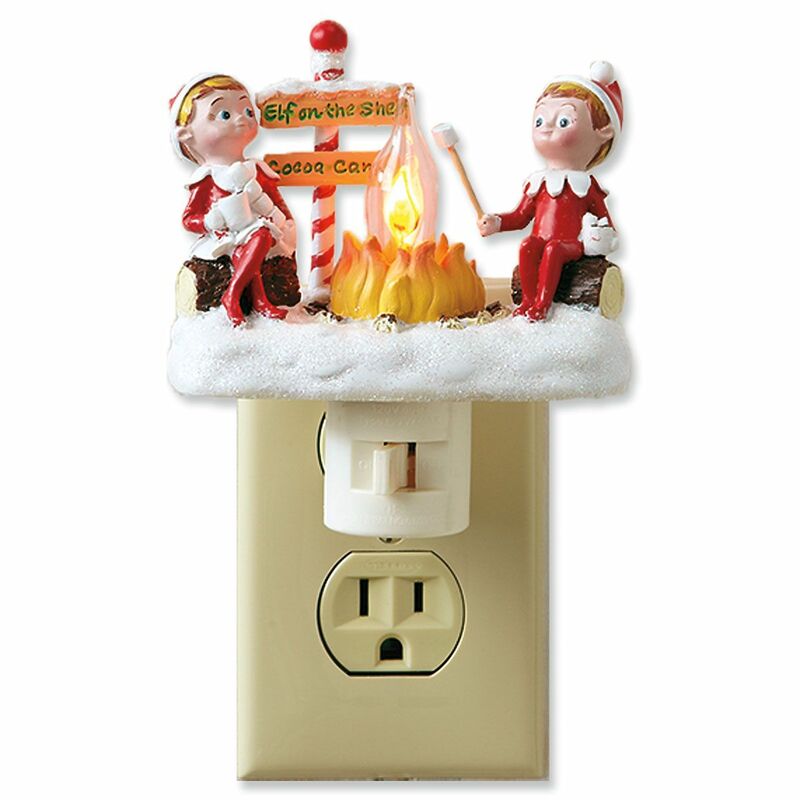 Light a dark room or corridor with holiday fun! Elves' “Cocoa Camp” campfire lights up and flickers. Includes flicker bulb, swivel base, and on/off switch; UL listed. 4"H.